Our campus is laid out from West to East from Hwy 78E. If you are our guest for the Worship Celebration (11 AM) on Sunday, the prime parking is on the east side of the Worship Center (right side of complex). The Main Entrance is where you will find plenty of greeters with friendly faces to help you locate our preschoool ministry, restrooms, water fountains, and the Worship Center. If you connect to our Small Group ministry on Sunday Morning (9:45 AM), parking on the west side of the campus might be your best option. 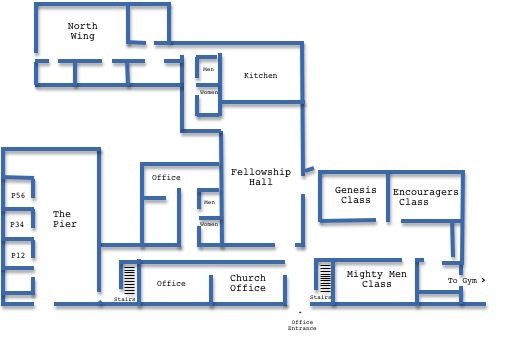 The Education Building is where most of our Small Groups are located. The Pier (Kids's Ministry) is on your left, Adult and Youth SG are in the central areas. 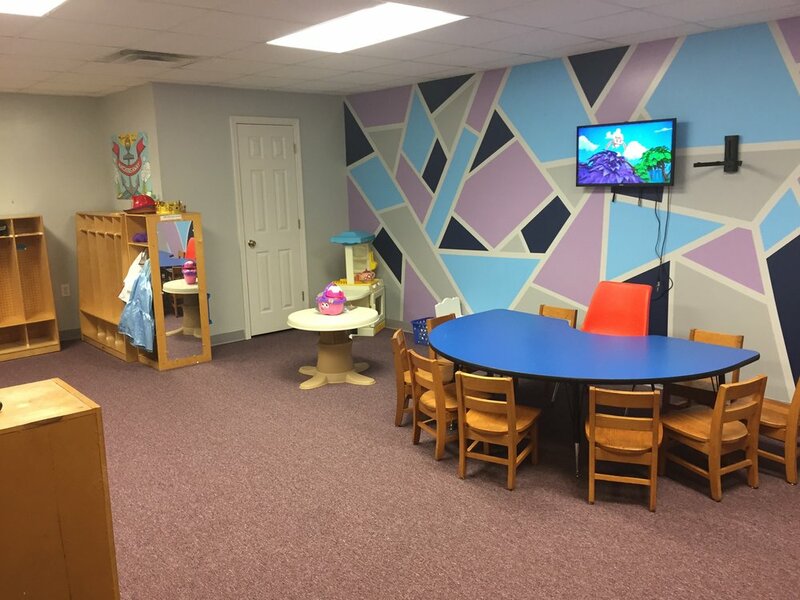 All preschool (nursery, toddler, and pre-K) iis located in the Family Life Center next to the Worship Center. At ParkerDC, we value our guests to the point that we want to make your experience at DC positive and unique. We have all experienced the awkwardness of visiting a church for the first few times and not knowing both the people and the surroundings around us. This can be intimidating! Take a deep breath. At ParkerDC, you can count on being welcome and encouraged. Our campus is easily to navigate and our people are glad to assist you at any time! Below are some answers to frequently asked questions by our guests. We hope this helps you! We cannot wait to meet you and get to know you at ParkerDC! Greeters are located at each entrance to the building and are available to direct you to the Worship Centerfor worship, to a classroom for a Small Group, or to any specific ministry meeting area. You will find signs outside the church building to direct you to the Family Life Center, Worship Center, Office, Pier, and Dducation Building. Dress comfortably. We’re more concerned with meeting your needs than focusing on what you wear. Come as you are. You can dress up or down, just be modest and appropriate, what matters is that you come ready to worship God. For the record, the pastor and worship leader wears jeans most weekends. A Bible will help you follow along in both worship and in Small Groups. If you have a Bible, bring it with you. If you do not have a Bible, copies are located in the Worship Center for your use. We also put the Scriptures on the screens during the service. Our worship service begins at 11:00. Our Small Group (Sunday School) time begins at 9:45 AM. Plan to arrive about 10 minutes early to allow adequate time for parking in our guest spaces and getting to the appropriate place. There are greeters at each entrance to direct your children to their classroom. ParkerDC offers childcare so parents can experience a meaningful time of worship. The nursery is located in the adjacent hallway to the Worship Center and there are signs and greeters to direct you there. Children ages 3 to 5 years old can participate in PreSchool Worship during the sermon time of the worship service. The Pastor will dismiss the children out of the service for this unique opportunity in the adjacent education building. The last thing we want to do is single you out or put you on the spot. We ask guests to fill out a Connect Card and simply drop it in the offering plate so that we can have a record of your visit. We’ll never ask you to stand or call you out in any way. We want you to have a wonderful experience at ParkerDC and we strive to create a friendly and comfortable environment to make you feel right at home. You can also connect to DC by texting "LiveLove" to 22828.